I’m playing the original cart, this time on my Gameboy pocket. Shhh, keep your voice down Rick people can hear you! I heard him 1,000 miles away. 😄 Rick, next time use the super secret communications device made from high tech aluminum cans and fiber optic string. Love that pocket! Gotta get me one. Love those things. Awesome battery life, too! That was a very nice run, Kid A! It's funny that after all of those hazards it was a Bombshell Koopa that got you in the end. I guess it's the nature of old platform games. Who needs boss battles anyway? I'm sure that you'll get past that in another run. Keep it up! JUSTIN! Why did you pick this game?!?! The issues I had with this game from decades ago are returning. I am finding it very difficult to the game off for any reason. I'm not sure if this was a good thing or not LOL. I've got the tunes playing in my head when I sleep. Improved my score. 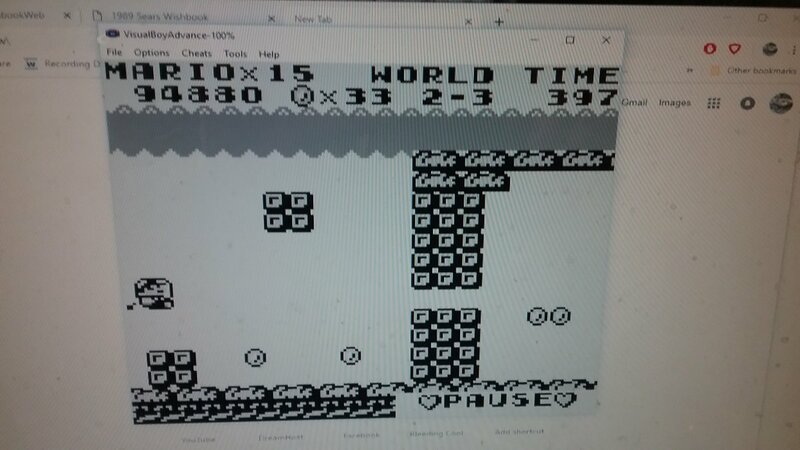 Made it to World 2-1, my emulator wigged out on my first jump, causing me to fall. Not sure what happened. I managed to beat the game after this! That ending music is as great as everyone says it is. At the end I was standing on a pipe and a missile launcher popped up and pushed me into a projectile. The statues in the background remind me of Gradius. Played a little this afternoon. This is where I cap off for now. Going to play a bit more tonigjt when the ladies go out. Might record it for a video too. 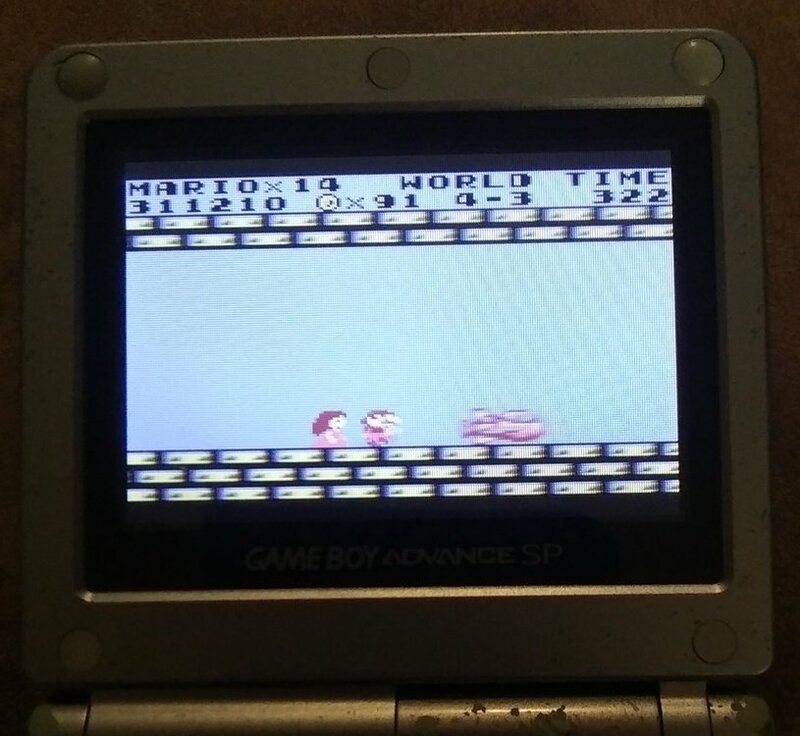 I did my best to compete on real hardware, which is always what I want to do, but sadly my Game Boy screen is on the fritz and I won't have time to repair it properly before the Squad Challenge ends. 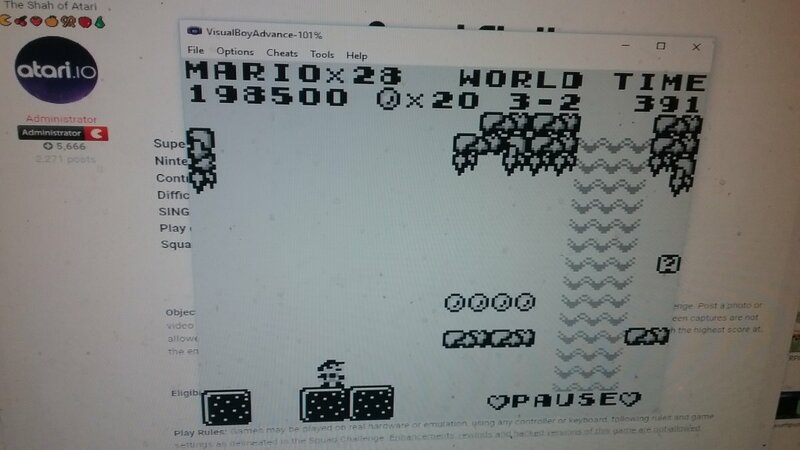 I managed to get 52,410 points playing on an emulator before I lost my first man. This is a great game and I would've loved to have kept playing! 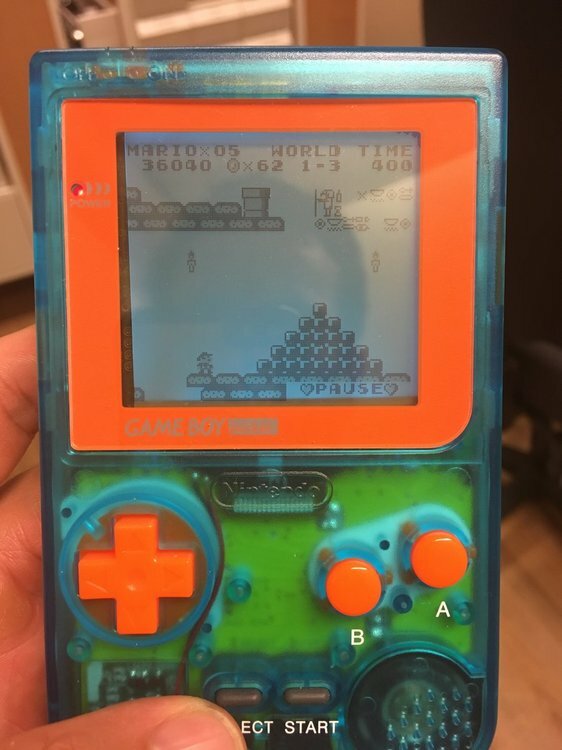 I might pick this game back up again and see if I can beat my score in the Scoreboard once I get my Game Boy working right, or at least get a substitute in my hands. Great scores all! Congratulations @RadioPoultry on an excellent run! 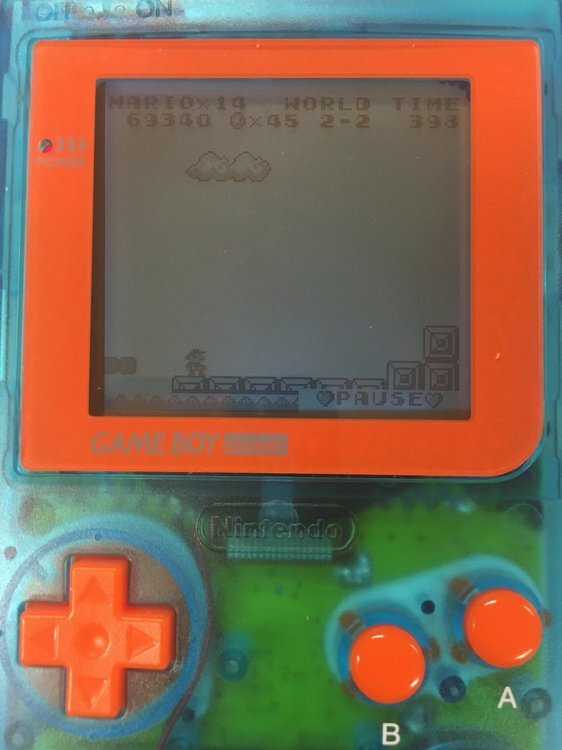 Super Mario Land is possibly one of the most important killer aps of all time, which along with Tetris helped launch the Game Boy to stratospheric dominance. For many of us this was the first Mario sequel we got to play, and we really loved joining Mario in a new adventure of ancient ruins, giant crabs, flying stone heads and strange creatures! I can never see the stone heads of Easter Island without thinking of playing this game out by the pool. 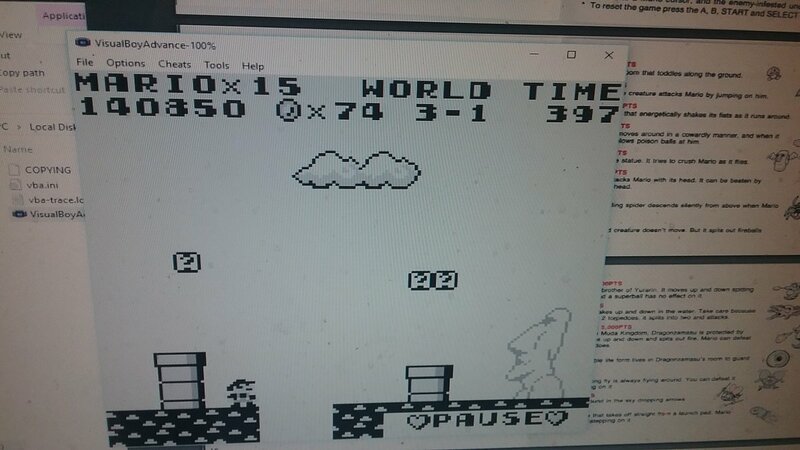 Super Mario Land was our first GameBoy Squad Challenge, as well as our first Single-Life Run. I wasn't sure if we'd have a good turnout for our first Game Boy game, it was great to see so many of you jump in on this Challenge! @RadioPoultry won the Squad Challenge with a high score of 198,500. @Kid A was right on his tail with an incredible 181,390. @atarilbc brought his A-Game with his Lunchtime Unwinds, posting a high score of 87,510. 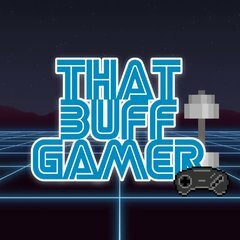 @ThatBuffGamer posted an impressive 69,340. I showed up with @kamakazi20012, @Atari Creep and @RickR to post our best! Congrats to everyone who played! I'd encourage RadioPoultry to post his new high score on the Scoreboard, and maybe this Challenge can continue on! 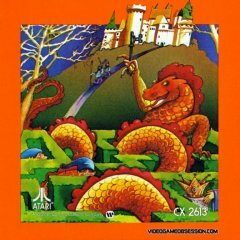 Our next Squad Challenge will be for Atari ST. 2019 will be changing it up in High Score Squad with new challenges for Lynx, SNES, Genesis, Master System, Atari ST, Jaguar, 5200, TurboGrafx-16, Intellivision, ColecoVision, Game Boy and much much more, in addition to the usual lineup of video game systems. We may even have an Arcade challenge! Be ready to play all of these game systems, we'll be breaking new ground with more interesting Squad Challenges coming up very soon and throughout the year, and we hope to see you there. Way to go everybody! YES! I win! We're playing by golf rules, right? Lowest score = winner. Nice scores, everyone. What a great game. I can't believe I've never played it until now. I also hear that Super Mario World 2 is even better. What a great game. I can't believe I've never played it until now. I also hear that Super Mario World 2 is even better. My single life run score wasn't super, but I did do something I never have done before: I beat the game! 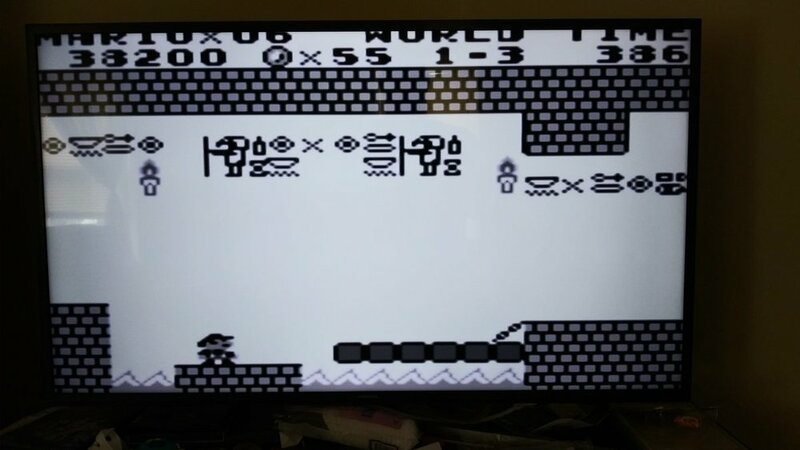 It's not a hard game to beat, and I was close before and didn't realize it (only 4 worlds? wow), but this was the first time I actually tried some serious playthroughs.